Sure you could replace your lawn with that fancy futuristic "space-grass" known as artificial turf. But where's the soul? Where's the smell of freshly cut grass? Where's the feeling of lush grass between your toes? 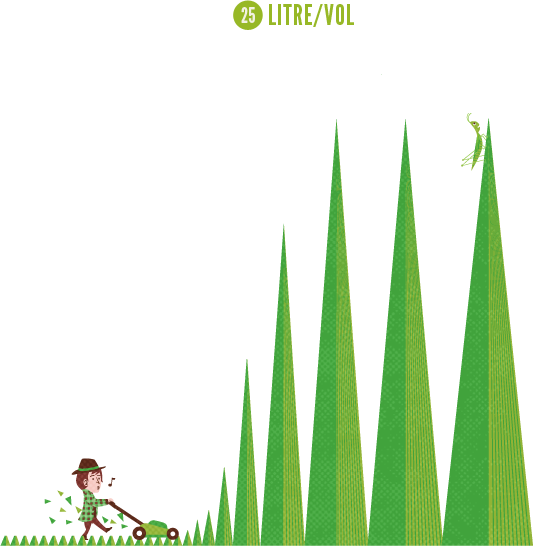 There's only one sure-fire way to achieve all that: growing a real lawn. We've made it easy with More Than Lawn Mix. This special brew promotes good drainage and growth making it the perfect way to kick-start a new lawn, or revitalise a tired old one. Plus our mix is 100% weed-free.Say NO to artificial grass! Say YES to real lawns! Let's get the ball rolling (on your soon-to-be golf green) with our Living Earth Organic Compost. Next we body it up with some Bark Fines. Drainage is super important for cultivating good lawn, so we've sprinkled some Sand and Pumice up in the mix. Finally we top things off with Fertilisers for growth and a Wetting Agent for good water dispersal. Golf Clap! Sowing New Lawns: Use it at 30-50mm depth on newly cultivated soil that has been cleared of weeds and old turf. Sow lawn seed and water lightly but thoroughly each day, until the grass is well established. 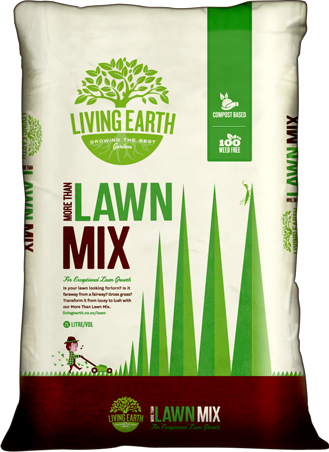 Renovating Lawns: Cultivate bare patches in your lawn and apply a layer of Living Earth Lawn Mix to 20-30mm. Sow your lawn seed and water lightly but thoroughly each day, until the grass is well established. Stand proudly on grass with hands on hips, admiring your fantastic new lawn.